There is no standardized definition for the condition, but volumes >300 ml are commonly used to describe CUR. It is a clinical diagnosis which does not require urodynamics. Pathophysiologic causes of CUR be from myogenic, neurogenic, bladder outlet obstruction, or a combination of these sources. 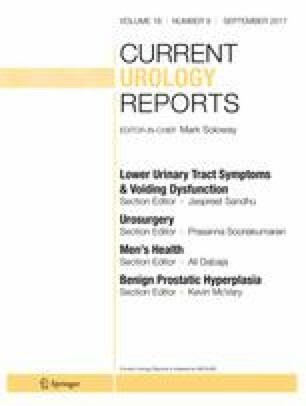 Treatment algorithms recommend stratifying patients with chronic urinary retention by risk and by symptoms before initiating treatment. Common CUR outcome endpoints need to be better utilized so that treatment modalities can be compared. Non-neurogenic CUR is a heterogeneous condition that has multiple definitions, underlying physiologies, and possible endpoints. Standardization is needed to better understand and treat CUR. John Stoffel reports grants from PCORI and Uroplasty.